On December 29, Reebok is set to re-release the retro black and gold colorway of AI&apos;s Question silhouette. Here we get a more detailed look at the premium leather re-up, which was crafted to award Iverson with a fresh off-court option back in &apos;96. 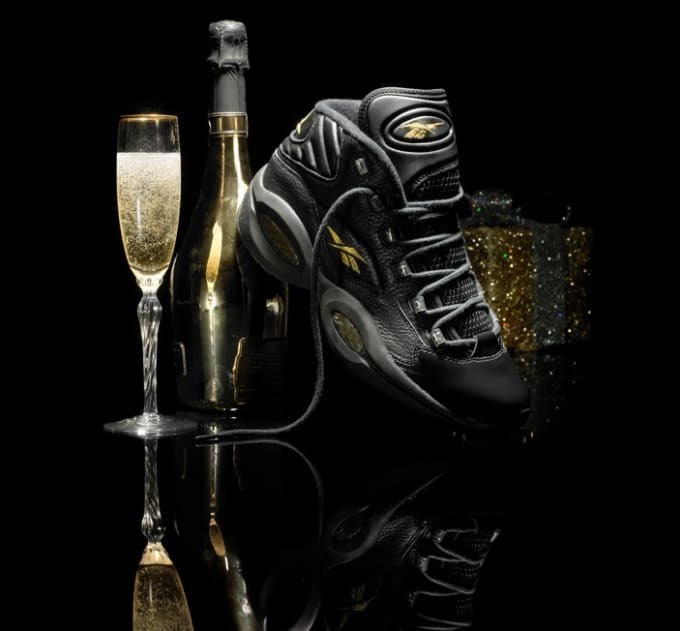 Again, expect the kicks to hit at select Reebok retailers just before the new year (Champagne not included). Will you be snagging a pair?